Airlines are in the midst of posting their fourth-quarter and full-year financial results for 2010, and the numbers, so far, have been pretty good. Delta and Southwest have already posted profits, and the industry as a whole is expected to be in the black. And as the Associated Press (AP) reports, this success can be tied to one thing: Flying less. It’s a simple equation: Cutting available seat capacity during the recession allowed airlines to stabilize fares. Now that travel demand is coming back, maintaining those capacity levels lets airlines raise fares. “Flights are more crowded than they’ve been in decades,” Koenig writes. 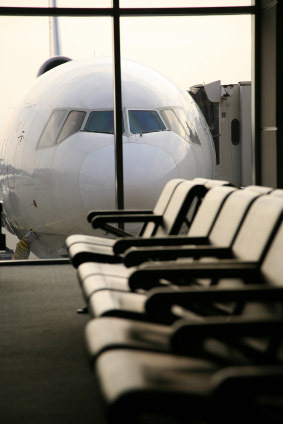 “On domestic flights, fewer than one in five seats are empty. Space is even tighter over the summer and holidays.” The result? Fares are up 14 percent year-over-year, analyst Bob Harrell tells the AP. All the fees certainly help, too. Initially implemented as an emergency measure in the face of rising fuel costs, fees are now boosting profit margins rather than merely keeping airlines afloat. Fuel prices are still a threat, and a spike in costs like the one airlines endured in 2008 could derail the advances in profitability carriers have made since then. Still, the consensus is that airlines are better positioned now than they have been in years. “The industry was profitable in 2000, 2006 and 2007, when the economy was roaring,” Koenig writes. “But those boom years masked the industry’s underlying problems, including high costs and more seats than travelers demanded. During 2008 and 2009, airlines lost a combined $23 billion, but they were also attacking their problems, setting the stage for a comeback in 2010.” Solving those problems involved cutting money-losing flights, retiring older planes, adding the aforementioned fees, and consolidating. None of this does consumers any favors, of course. We’re the ones paying higher fares, forking over fees, and flying on crowded planes. But a healthy, competitive industry is better than a choking, dying one, even if it means our wallets get pinched. Right?